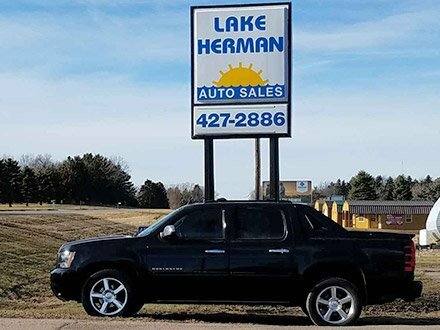 Lake Herman Auto Sales is located in Madison, SD, we offer financing for your next purchase of a car, truck, van, SUV, crossover, motorcycle or camper. We offer a variety of options for your financing, and we have a application specialist to help you through the process, so you don't have to worry. We are here to help. Our staff is waiting to assist you in your buying experience, and please, contact us if you have any questions. By submitting this application, I/We certify that all information herein is true and complete. I/We authorize lending institutions and Lake Herman Auto to retain this application, to check and verify my/our credit, employment, and salary history, and for the lending institutions to share all credit information with Lake Herman Auto. By using our website, I/we authorize Lake Herman Auto to provide reports on the status of your application, including information concerning whether I/we pre-qualify for a loan, which lender's offer (if any) I/we choose to accept, whether my/our application for credit is denied, and whether I/we accept a loan from that lender.